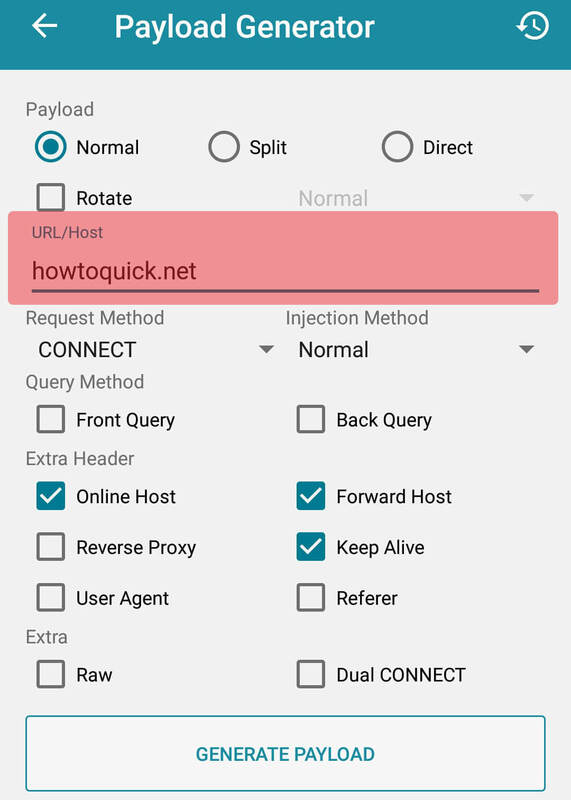 HTTP injector is one of the most used VPN apps for Android users due to its configuration flexibility and settings. You can choose how to use the app based on your needs and how your setup works. Here in the Philippines, most of the users use it to access the free data or internet access without using load credits. 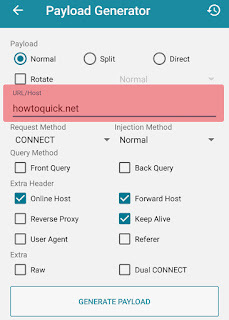 You also have the option on how to connect like Payload Generator, DNS charger, SHH Tunnel, Shadowsocks and other advanced features. The most used settings in HTTP Injector are the payload generator where you can use free sites to any networks, e.g. Globe, TM, Smart, Sun Cellular, Talk N Text (TNT), ABS CBN Mobile, Cherry Prepaid and other internet service provider both local and international. This method lets you create .EHI file that you can use to export and import to your settings. To use the Payload Generator you need to select the correct payload. You also have the option to use Rotate where users can use more than one URL/Host (e.g. 1.com, 2.com, 3.com). In URL/Host, you can use the list of free sites below. Prior to that, you need to select the request method and select method based on your configuration. You can leave the query method uncheck if you don’t know what you are doing. Proceed to Extra header where you need to check the options. Other options extra options can be selected if you’re knowledgeable enough with HTTP Injector. Click Generate to continue creating your payload. After that, you need to input Remote Proxy and port then next is to input SSH Login details like IP, port, username and password then click save. If you don’t have SSH settings or don’t plan to use it with SSH, you may exit and untick start SSH option and combine the app with other VPN apps such as FinchVPN or OpenVPN. You can use TNT, Smart, Globe/TM promo with your payload (e.g. IG10, AT10, AT60, ALLOUT30 and more. If you have other HTTP Injector working free sites, you can comment down below for us to add and update our list. All URLs are publicly available and credits goes to the owner (phcorner.net GarzKingJames).